Six mechs. Two teams. 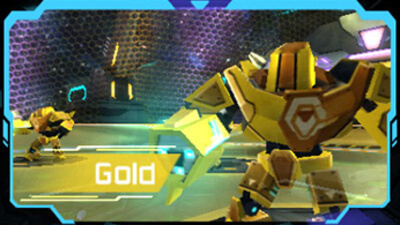 One free pass to play the most intense 3-on-3 sci-fi sport in the Metroid universe. Literally shoot the ball into the goal and grab power-ups as you fight. 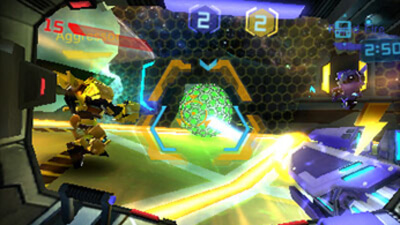 Increase your firing rate or even eject opponents from their mechs! Score victory locally or online as you prepare for the full game Metroid Prime: Federation Force. Blast Ball very much feels like a game that's still in development. The ball physics feel off, there's not a whole lot of content and it feels half-baked. When viewed as a standalone piece of software it's not exceptional in any way, though it's still worth a shot as a free download. 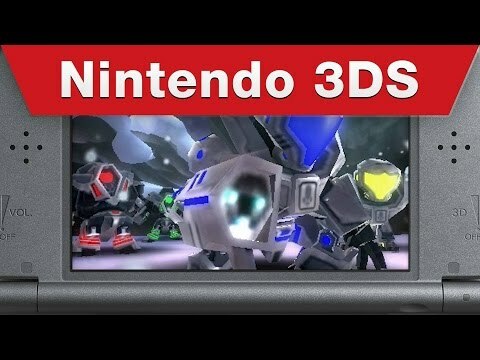 It'll also feature within Federation Force (with the servers switching to that full game in North America), and it seems likely to serve as a shallow diversion that you'll no doubt find yourself coming back to now and then. We'd recommend you pick up Blast Ball in its free incarnation (which is permanent in Europe but not North America) as it's an entertaining mini-game that offers up some mindless fun, but it's not necessarily the best advert for Federation Force. Matt S. and Nick H.
I think this game would have been better on Wii U, because I don’t think people pick up a handheld console for eSports, but as a free-to-play game, this is one of the better that the console enjoys.